To be able to use Vero on your Android device, the first thing you should do is download the app to your mobile phone. You can do so through Malavida, by downloading the APK file, or by means of the Google Play Store. Unlike other social media apps of the likes of Facebook or Twitter, you won’t be able to log in through your device’s browser as there isn’t such thing as web version. Classify your contacts into different groups depending on your relationship: friends, close friends, acquaintances, and followers. You can also follow the profiles of certain brands. Configure who can see the contents you share. You can do so from the upper icon menu that allows you to establish which group of contacts can view a certain application by simply swiping your finger. 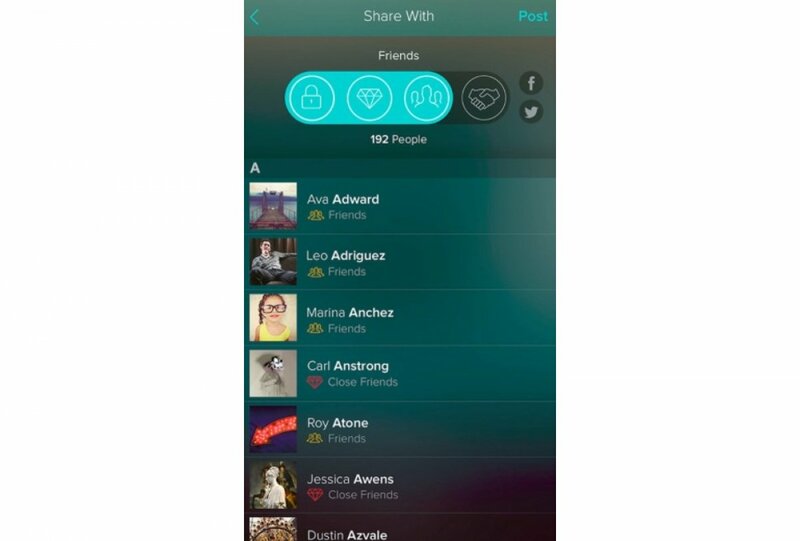 Check your timeline to see what your contacts are sharing. The latter is always shown in chronological order unlike Facebook, which shows its contents according to several criteria that can be quite confusing. As you’ve probably got a profile on other social networks, you can share on all of them whatever contents you consider interesting. It’s all about beating them without preventing the user from using them. Use its search tool to find other users, events or trends that you may be interested in.